Cheese Boxes are $10/box. You can buy as many as you want. Get your family, your friends involved. Challenge the office next door or your rival sports team. Come on mayors and councils, YOU TOO. This is a fun, community fundraising event. Proceeds raised will go towards building a new fully accessible boardwalk/dock and fishing dock in downtown Eganville so that all of our visitors and residents can have equal access and enjoyment of our beautiful Bonnechere River. So without further ado, let’s get you ready to race! Saturday July 28th from 11:00 AM until 1:00 PM– THIS TIME IS NO LONGER AVAILABLE. Please pick up at the Eganville Tourist Booth instead. 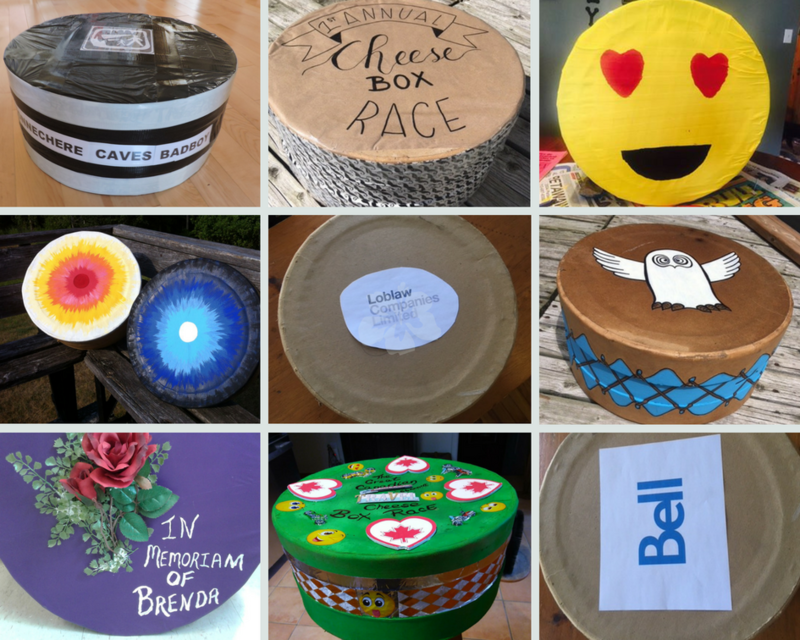 Take your Cheese Box home waterproof it and decorate it. BE CREATIVE. BE EPIC. KNOCK OUR SOCKS OFF. Find a great spot to watch the race and CHEER, CHEER, CHEER! Even last place wins, folks! Join us at the finish line at McRae Lookout Park (just a short walk or drive down the road at 1713 Grist Mill Rd) to collect prizes and celebrate the awesome day we all just had with a BBQ and live music. See you ’round the river this August!